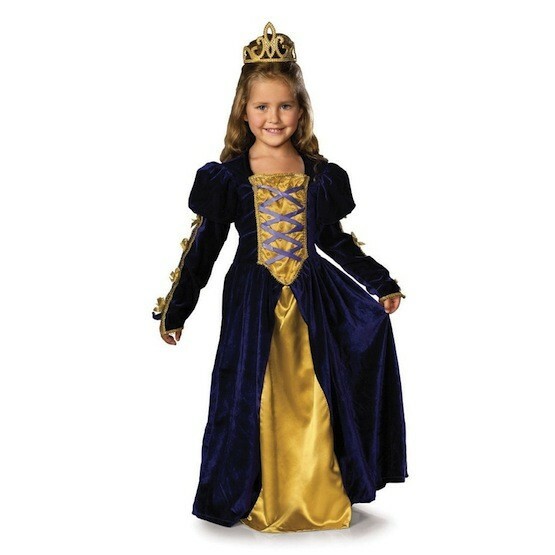 She'll be ready to rule with this beautiful Regal Queen costume! This beautiful purple dress includes ribbon detailing on the front, laced sleeved, and padded puff shoulders. Please note: crown/tiara not included.